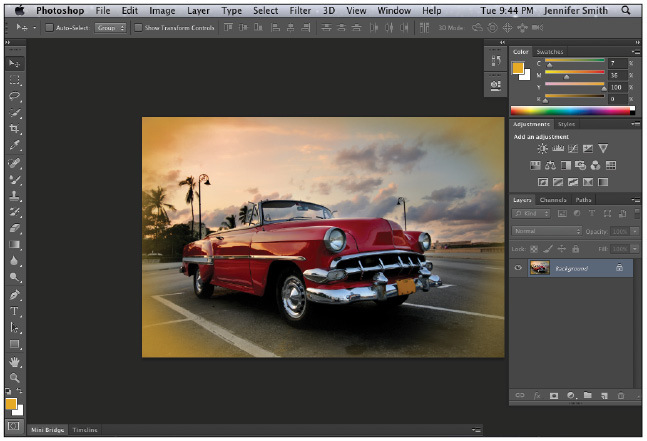 This tutorial provides you with a foundation for working with Adobe Photoshop navigation. 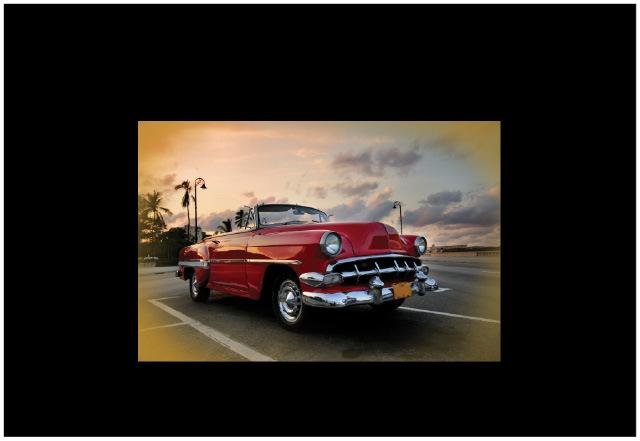 It is the first lesson in the Adobe Photoshop CS6 Digital Classroom book. For more Adobe Photoshop training options, visit AGI’s Photoshop Classes. 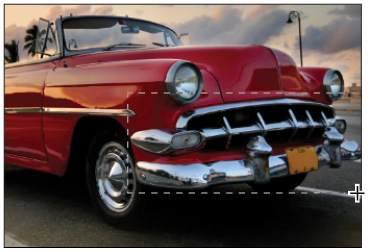 To work most efficiently in Photoshop, you’ll want to know how to zoom (magnify) in and out of your image. Changing the zoom level allows you to select and paint accurately and helps you see details that you might otherwise have overlooked. The zoom function has a range from a single pixel up to a 3200 percent enlargement, which gives you a lot of flexibility in terms of viewing your images. 1 Choose View > Zoom In to enlarge the display of ps0201_work.psd. When you use the Zoom tool (), each click increases the view size to the next preset percentage, and centers the display of the image around the location in the image that you clicked on. By holding the Alt (Windows) or Option (Mac OS) key down (with the Zoom tool selected), you can zoom out of an image, decreasing the percentage and making the image view smaller. The magnifying glass cursor is empty when the image has reached either its maximum magnification level of 3,200 percent or the minimum size of one pixel. 2 PSelect the Zoom tool, and click two times on the license plate to zoom in. You can also use key modifiers to change the behavior of the Zoom tool. 4 Uncheck the Scrubby Zoom checkbox in the Zoom tool’s Option bar to disable this feature. The Scrubby Zoom feature allows you to click and drag to zoom immediately. In this example, you need a more predictable zoom area. 5 With the Zoom tool still selected, hold down the mouse and click and drag from the top left of car’s grill to the lower-right of the bumper. You are creating a rectangular marquee selection around the front of the car. Once you release the mouse, the area that was included in the marquee is now enlarged to fill the document window. 7 Select the Move tool () at the very top of the Tools panel. 8 Hold down Ctrl+spacebar (Windows) or Command+spacebar (Mac OS). Note that on the Mac OS you must hold down spacebar before the Command key, otherwise you trigger Spotlight; the Move tool is temporarily converted into the Zoom In tool. While still holding down Ctrl/Command+spacebar, click and drag over the front of the car again, then release. Note that although you have changed the zoom level, the Move tool is still active. You can zoom out by holding down Alt+spacebar (Windows) or Option+spacebar (Mac OS). 2 Select the Hand tool ( ), then click and drag to the right to push the picture to the right. Notice that when the Hand tool is active, four view buttons appear in the Options bar (at the top of the work area) that allow you to change your current view to Actual Pixels, Fit Screen, Fill Screen, and Print Size. 3 Select the Zoom tool and hold the spacebar. Notice that the cursor turns into the Hand tool. Click and drag left to view the front of the car again. By holding down the spacebar, you can access the Hand tool without deselecting the current tool. 1 If the Mini Bridge is not visible, choose File > Browse in Mini Bridge. In the Navigation pod, double-click on the image named ps0202.psd to open it in Photoshop. 2 The image is displayed as a separate tab within Photoshop, allowing you to click on the tab to switch between active images. 3 Click on the ps0202.psd tab and then click and drag the tab away from its tabbed position and release the mouse button. The image second window is now floating. 4 Click the title bar of the floating window and drag upward until your cursor is next to the tab of the other image. When you see a blue bar appear, release the mouse button. The image is now back to being a tabbed window. You can stop a window from tabbing accidentally by holding down the Ctrl (Windows) or Command (Mac OS) key while dragging the floating window. If you would prefer not to take advantage of the tabbed window feature, you can choose Edit > Preferences (Windows) or Photoshop > Preferences (Mac OS), then choose Interface. In the Panels & Documents section, uncheck Open Documents as Tabs and press OK.
Now that you can zoom in and out of your document, as well as reposition it in your image window, it’s time to learn how to take advantage of screen modes. You have a choice of three screen modes in which to work. Most users start and stay in the default—Standard Screen mode—unless they accidentally end up in another. Screen modes control how much space your current image occupies on your screen, and whether you can see other Photoshop documents as well. The Standard Screen mode is the default screen mode when you open Photoshop for the first time. It displays an image on a neutral gray background for easy and accurate viewing of color without distractions, and also provides a flexible work area for dealing with panels. 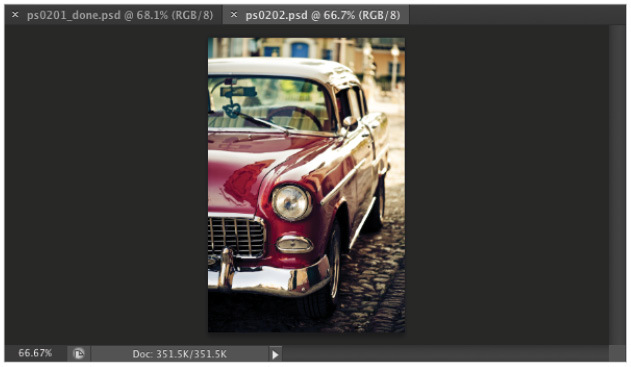 1 Click on the tab of the ps0201_work.psd image to make that image active. 2 Press the Tab key; the Tools panel and other panels disappear, creating much more workspace. Press the Tab key again to bring the Tools panel and other panels back. 3 Press Shift+Tab to hide the panel docking area while keeping the rest of the panels visible. Press Shift+Tab to bring the hidden panels back. Both the Tools panel and the panel docking area should now be visible. As you position your cursor over various tools, you see a letter to the right of the tool name in the tooltip. This letter is the keyboard shortcut that you can use to access that tool. You could, in fact, work with the Tools panel closed and still have access to all the tools via your keyboard. 4 Press the Tab key to hide the panels. Then position your cursor over the thin gray strip where the Tools panel had been, and pause. The Tools panel reappears. Note that the Tools panel appears only while your cursor is in the Tools panel area, and it disappears if you move your cursor out of that area. Try this with the panel docking area to the right of the screen, and watch as that also appears and disappears as your cursor moves over the gray border off to the right. By changing the screen modes, you can locate over-extended anchor points and select more accurately up to the edge of your image. Changing modes can also help you present your image to clients in a clean workspace. 5 Press the Tab key again to display all the panels. 6 Press F to cycle to the next screen mode, which is Full Screen Mode With Menu Bar. This view surrounds the image out to the edge of the work area with a neutral gray (even behind the docking area) and displays only one image at a time, without tabs, and centered within the work area. You can access additional open images by choosing the image name from the bottom of the Window menu. You can also change your screen mode by selecting View > Screen Mode. 7 Notice that the gray background area (pasteboard) now extends to fill your entire screen, and your image is centered within that area. One of the benefits of working in this mode is that it provides more area when working on images. The Full Screen mode with Menu bar. 8 Press F on the keyboard again to see the last screen mode, Full Screen Mode. This is Full Screen mode. A favorite with multimedia users, it allows you to show others your document full-screen with no distracting screen elements. All menus and panels are hidden automatically in this mode; however, they are still accessible by hovering the cursor over the area where the panels normally reside. The panels temporarily reappear for easy access. If you’d like to see the panels while in this mode, simply press the Tab key to display and hide them. 9 Press the F key once to cycle back into Standard Screen mode, or click and hold on the Change Screen Mode button at the bottom of the Tools panel and select Standard Screen Mode. If you do not see your the Tools panels you can press Tab.